Avoid illegal cab services and “gypsy cabs”. These are illegal cabs that are not licensed. They may not meet the requirements set out by Arizona Weights and Measures and they don’t have any passenger insurance. Illegal cabs will not have a Weights and Measures sticker with the current year clearly displayed in the back window. They will most likely not have their rates printed clearly on the outside of the car. An illegal cab will just look like a normal car. Illegal cab drivers will usually approach you and offer you a ride and in return ask for a donation. If you spot an illegal cab you should file a complaint on Arizona Weights and Measures website. Before your driver begins your trip make sure to ask for an estimate of the cost so you can check that you have enough cash to pay the fare and to give a tip. If you plan to pay by credit or debit card ask to make sure the driver has a working card reader. If you are booking a cab online or over the phone you should ask for an estimate and check for a working card machine before ordering the cab. If you are new to the area you can use your smartphone or a map to calculate the fastest route to your destination so you can prevent cab drivers intentionally taking a longer route. If you are a local and are aware of a quicker route don’t hesitate to mention it to the driver. Cab drivers will usually know a lot about the local area, don't be afraid to ask about the best places to eat or shop. If you will be using a taxi again soon in that area you can ask for the drivers name if you enjoyed traveling with them. This way you can ask for the same driver when you book another taxi. Cab drivers make most of their money from tips. Generally a tip will be between 10% and 20% of the final fare. If the driver was extra courteous - perhaps they helped with bags or offered advice about the area, you should tip more. However if the cab or the driver were unpleasant you can tip less. If the journey was really bad you can tip nothing. If you are getting a cab service in Phoenix to the Sky Harbor International Airport you should ask for fixed rates. 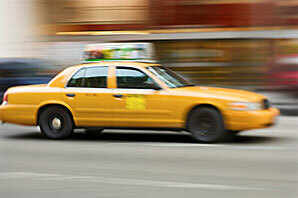 Most taxi companies offer fixed rates for airport trips. This is also a great service for those who frequently travel to and from the airport. There are usually always taxis available outside the airport. You should be sure to make time for delays in traffic in your time schedule, especially if you are going to the airport or have a meeting to get to. Sometimes cabs can be late or there might be an unexpected traffic delay. If you are worried about being late you should ask your driver about any delays that might cause problems. North America Car Service provide free quotes and information about cab services in Phoenix. Please feel free to call us for a free quote or use our website to find out all you need to know.